When choosing your new bed, size will be the first consideration, so it is important to know your room dimensions. There are significant size differences between a Single, Double, King and Super King sized bed so having your measurements to hand will ensure you’re ready to pick the perfect bed that will also leave you with circulation space in your bedroom. Each bed frame will have its own dimensions which will exceed those of the mattress. If you are considering a 6ft wide Super King bed, please check that you have 6ft 8in of clearance between the third step of your stairs and the ceiling, as it is important not to bend the mattress when fitting it. Your bed frame can come in a number of materials to suit your bedrooms style from Edwardian metal bedsteads, to sumptuously upholstered button back headboards, to elegant French style wooden bed frames. Wood framed beds are luxurious and the natural tone of the wood is warm and welcoming. They often come with matching bedroom furniture pieces as part of a range. Bed bases are usually a slatted wooden based that supports the mattress. 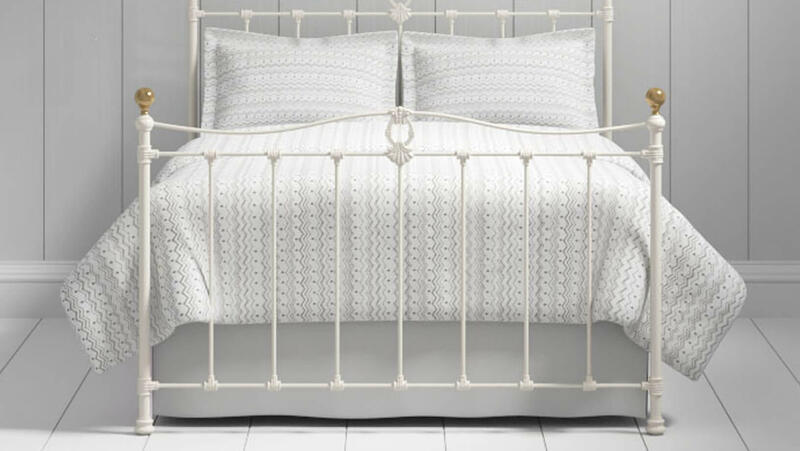 A bedroom classic, metal bed frames have a vintage inspired feel and are making a comeback often painted in white, cream or black with brass detailing. The bed base for metal frames beds is a spring slatted frame. 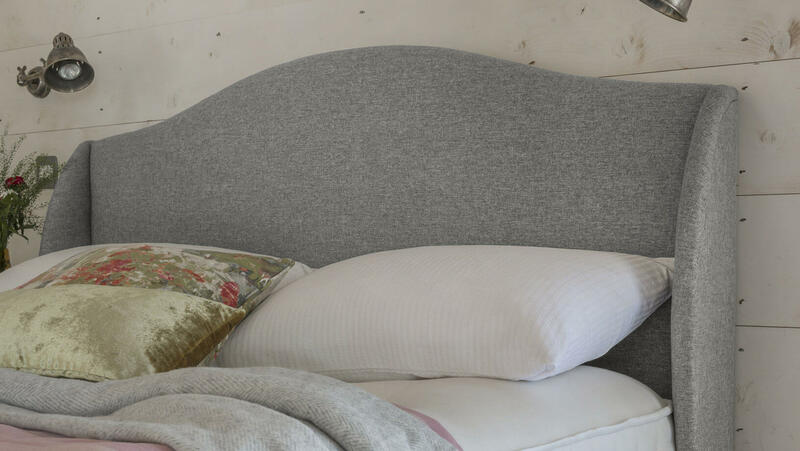 A fabulously indulgent new trend in bed frames is the upholstered bed head and foot with stitched detailing and button back detailing in some cases. Some upholstered bed ranges can often be designed to match your bedroom décor in a choice of fabrics and colours. These are solid or sprung bases for your mattress. To put your own individual stamp on your bed choice, you can add an upholstered or wooden headboard to match in with your room décor. These bed bases can be regular or with storage drawers which can be a convenient storage option for your bedroom for linens or shoes. We offer a wide range of beds with built in storage. These are a great solution for keeping linens and shoes to hand while safely tucked out of sight. Ottoman style beds - where the mattress lifts to reveal a full storage area within the base of the bed. 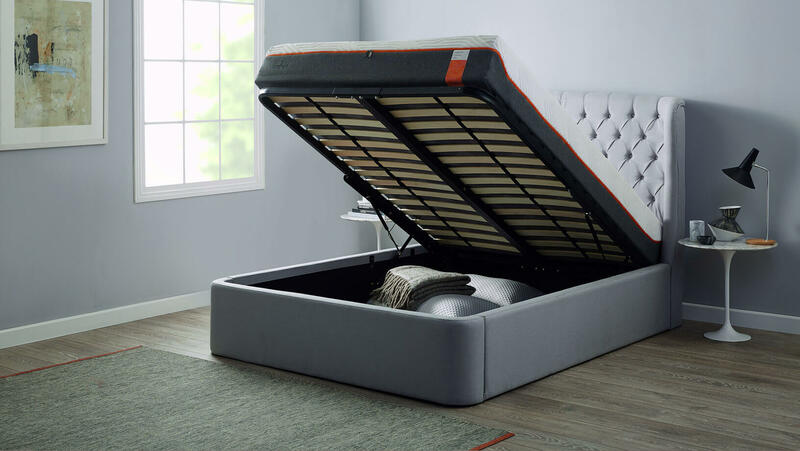 If your chosen bed doesn’t have the storage you need, you can also get an ottoman to sit at the foot of your bed, which is great place to keep your fresh linen. If you are happy with your bed but still want to give your room a facelift, you can fit a new headboard to your existing divan. We have a full range of wooden and upholstered headboards in many styles in colours. 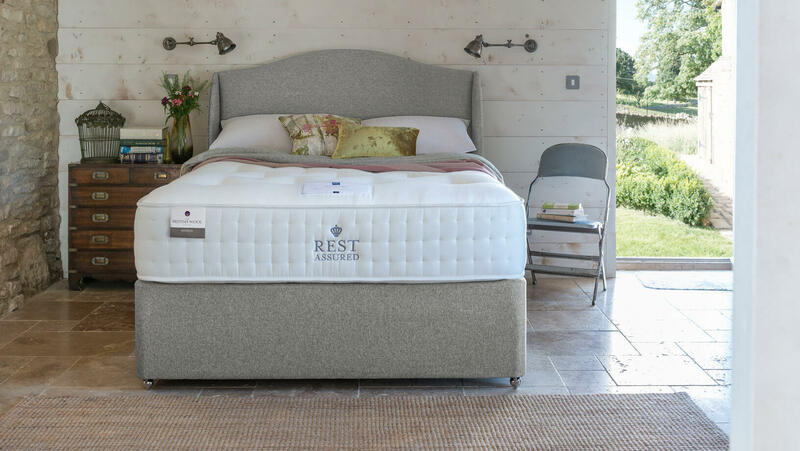 Or maybe your mattress is past its best, browse our Mattress buying guide here and get ready for a good night’s sleep. When shopping for your new bed you may want to update your bedroom furniture to match. We have full ranges of bedside lockers, chest of drawers, wardrobes and dressing tables to complement your new bed.